other track was all about; but, it was probably a training track for the horses. 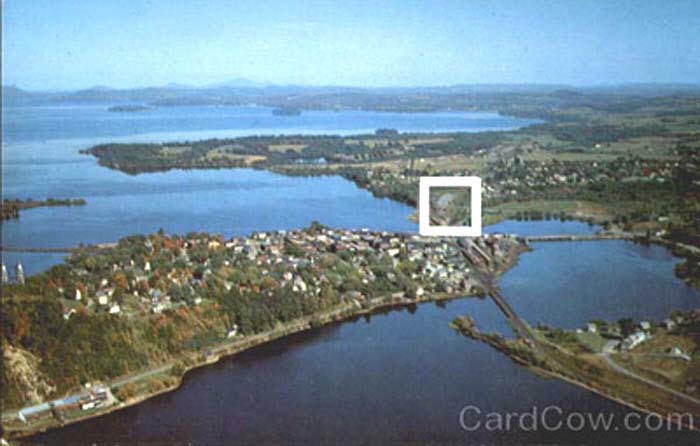 One of the very first places in the state of Vermont to offer regular stock car racing was the northern border city of Newport, on Lake Memphremagog. This burgeoning new sport was breaking out all over the area, with several tracks in northern Vermont and southern Quebec. 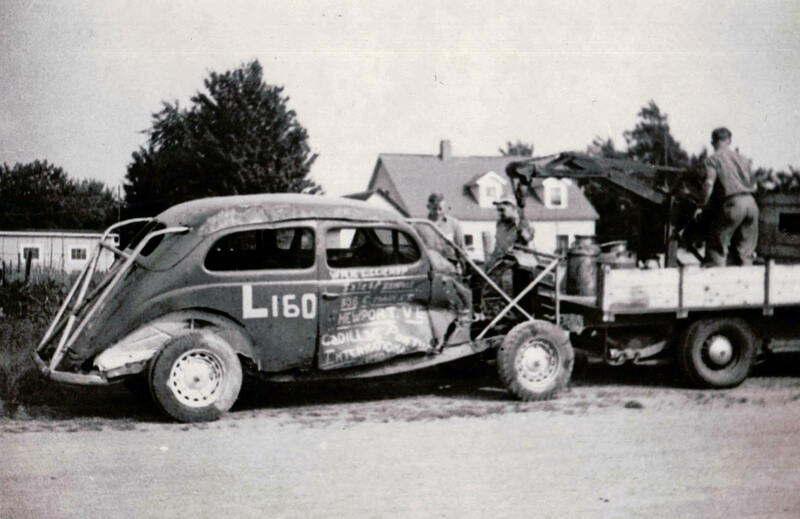 Informal racing which began in Bernard Daggett's sand pit in Holland, Vermont soon outgrew that very limited venue and moved, with a newly - formed club called the Border Racing Club, to Newport. 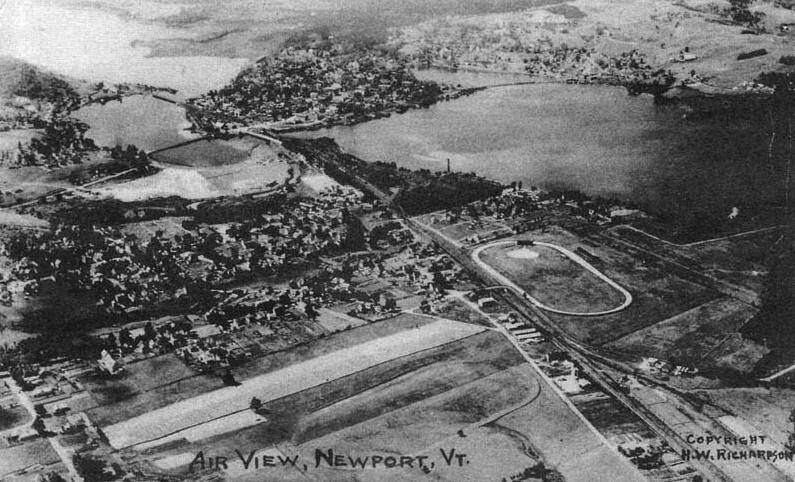 The venue at Newport was a good one, majestic Veterans' Park, a horse racing facility on the northeastern side of the city. 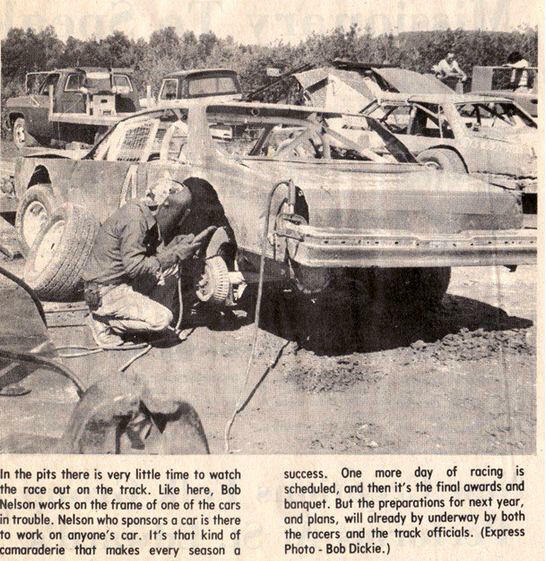 The facility management would not allow stock cars on its primary surface, but the jalopy cars would race in an oval just inside the main track. 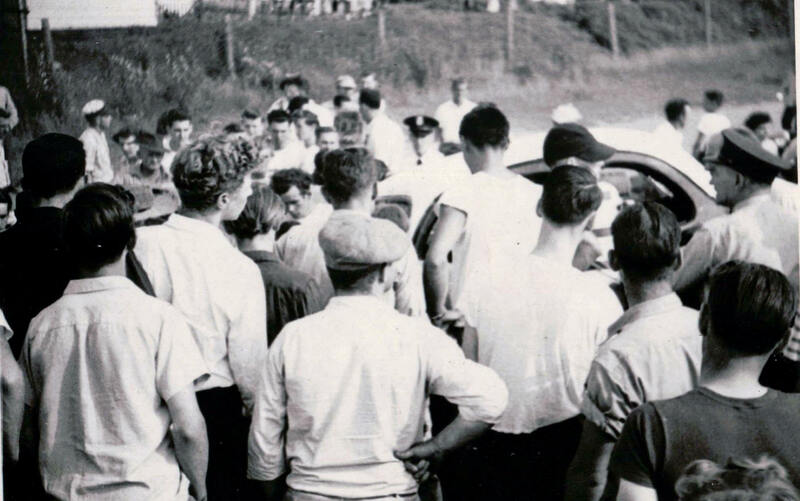 Early racing regulars included Bert Hauver, Sydney Carter, Russell Sykes, Daggett, and others. 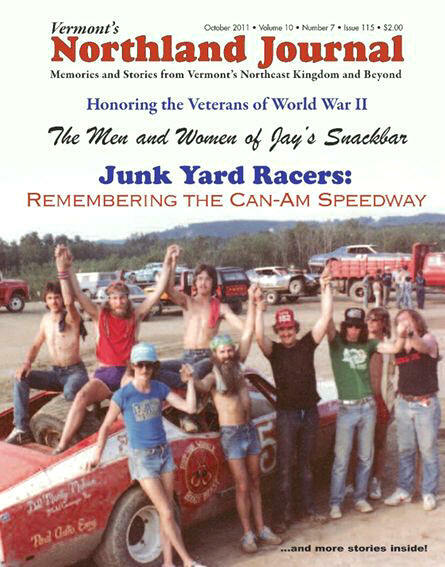 The new Newport racing program was fed by drivers who had raced in Canada, at Holland, VT, and at the fairgrounds track in Burke, VT. Ken Hitchcock and Aubrey Stoddard were other early stars at Newport. roll cage, than their counterparts further south in New England. 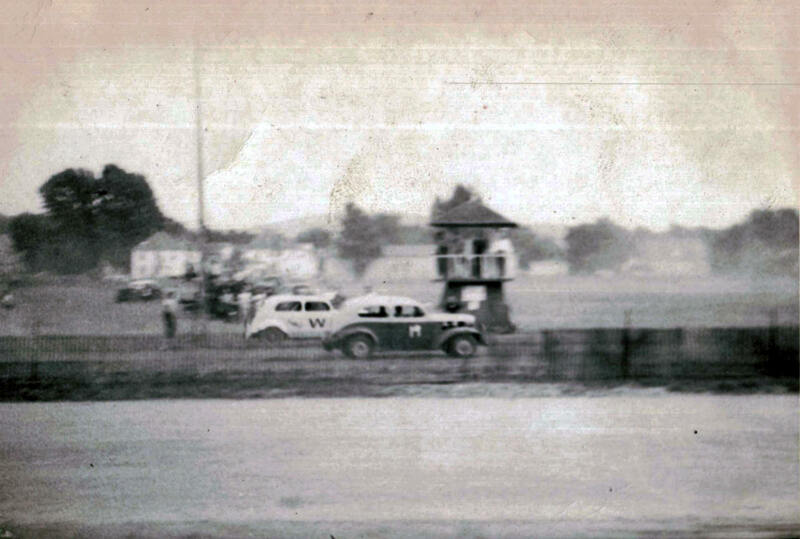 Excellent research from Scott Wheeler, of the Northland Journal, from the Newport area, indicates racing at Newport in 1950 and 1951. 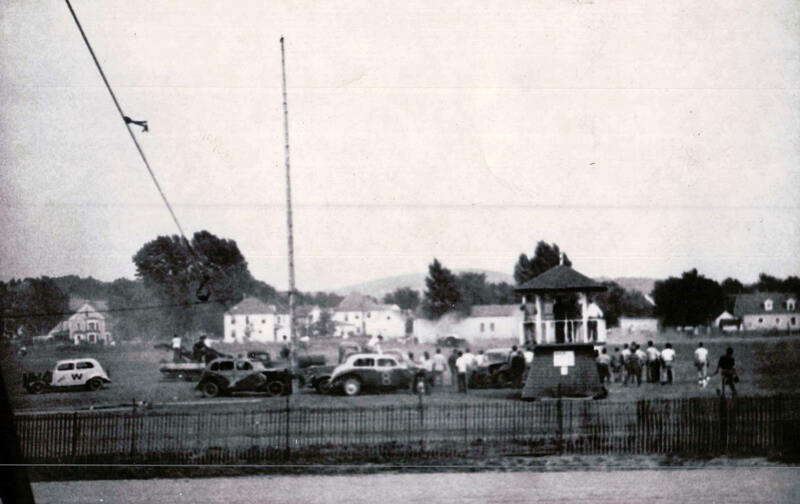 As early as the 1950 season, expenses for the Border Racing Club to use Veterans' Park were beginning to be a problem. 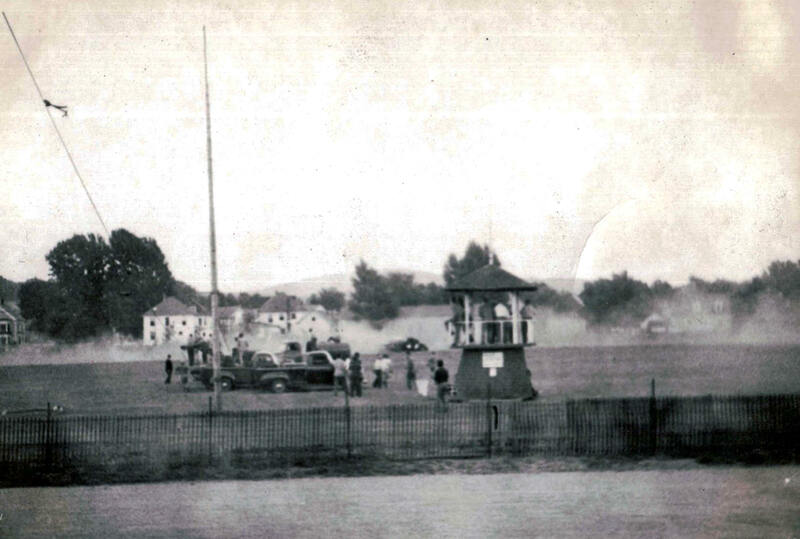 Raymond Nadeau, a local man, had begun promoting races at Lyndonville, Vermont at a spot informally called Webster's Flats; and another local businessman, Howard Connelly, was starting to promote in other venues. 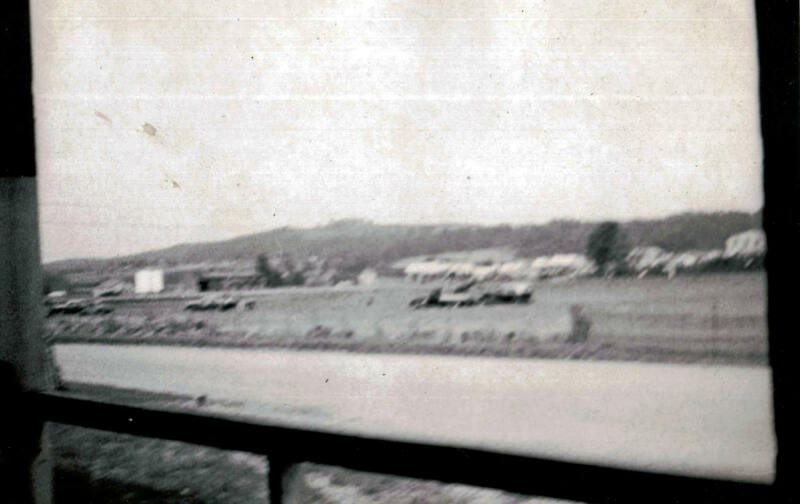 Eventually, racing ceased to operate at Veterans' Park. Today, the site is occupied by the local high school. Imposing Aubrey Stoddard is described by the Wheeler article as one of the most successful Veterans' Park drivers. 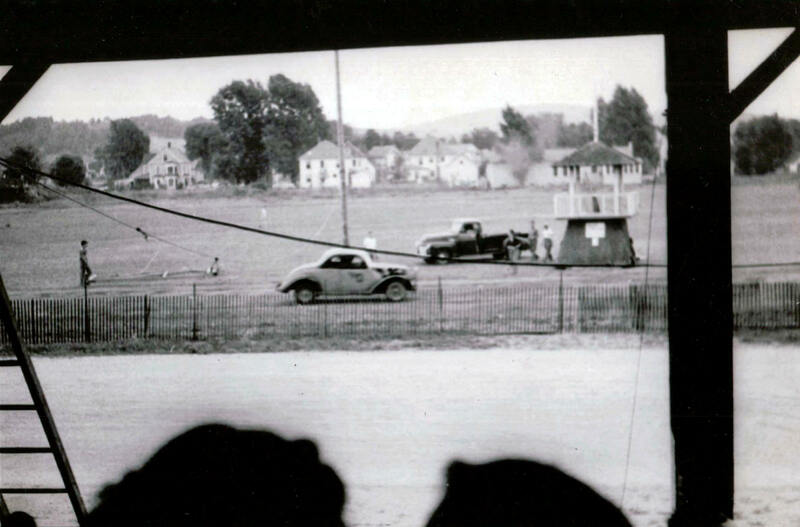 Powder Puff racing was in vogue in the 1950's, and Jane Colburn was one of the best at Newport. The Border Racing Club seemed somewhat organized. This is a result sheet from the men's and Powder Puffs races. 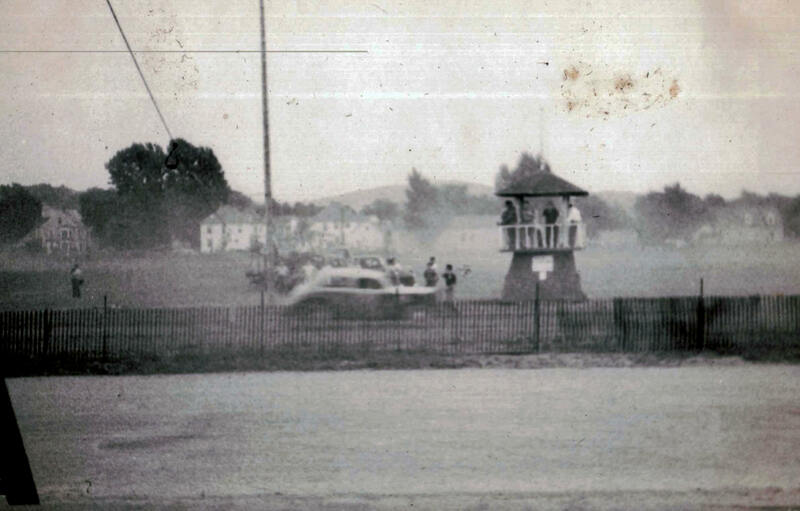 Gordon Swett, at speed, on the Veterans' Park oval. up in Massachusetts after racing in Newport. than they were. Rollovers were common in those days. The lineup of powder puffers. Some of the regular drivers. This shot not only shows action, but it gives a view of the announcers' stand. 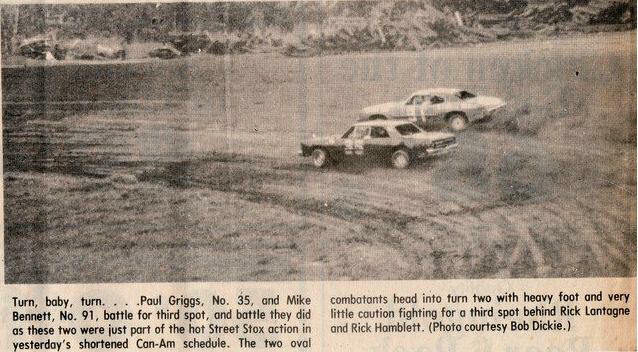 This shot shows how the stock cars could not use the nicer horse track surface. Rather, they struggled along inside of the original track. 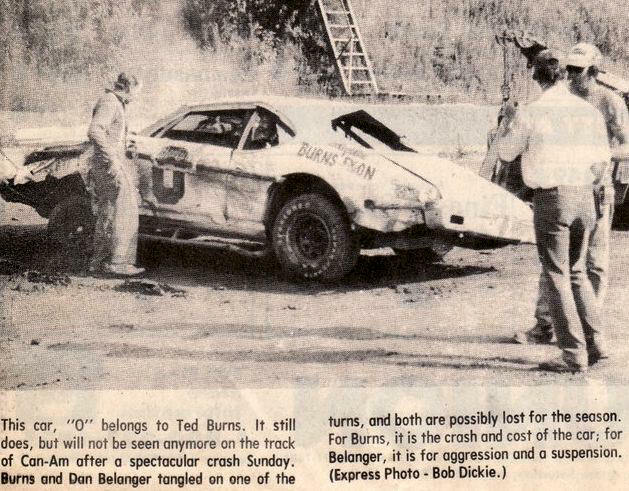 The Car 7 of Harold Barrup gets by one of the frequent tipovers that would happen on the bumpy track. Young Roger Stoddard poses with Dad, Aubrey's car. I don't know if Roger went on to race or not. A local sailor, home on leave, doesn't flinch as cars roll nearby. 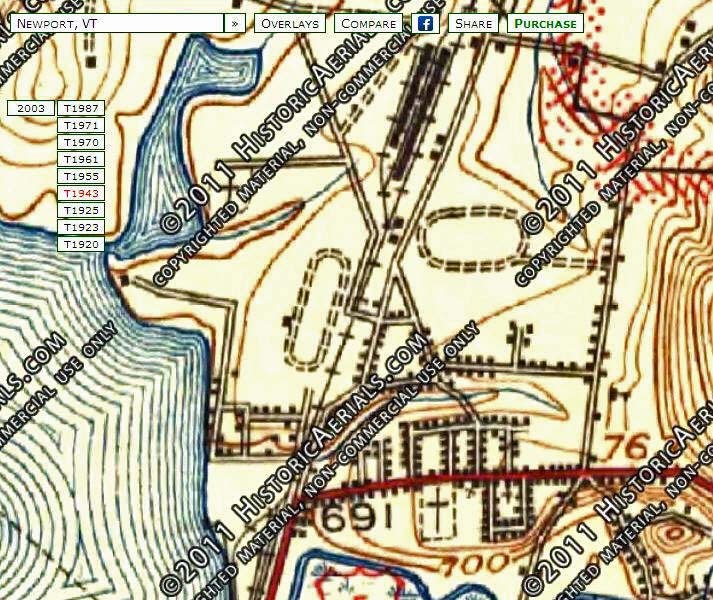 You can see how this wasn't a very established track surface they were on. 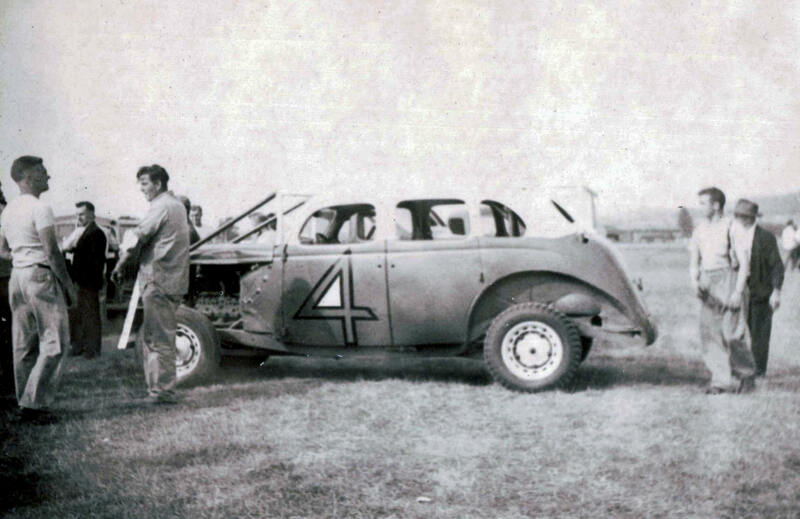 Sydney Carter, with one of his cars. A Border Racing Club results ticket similar to one above. Bert Hauver and his Flying 0. 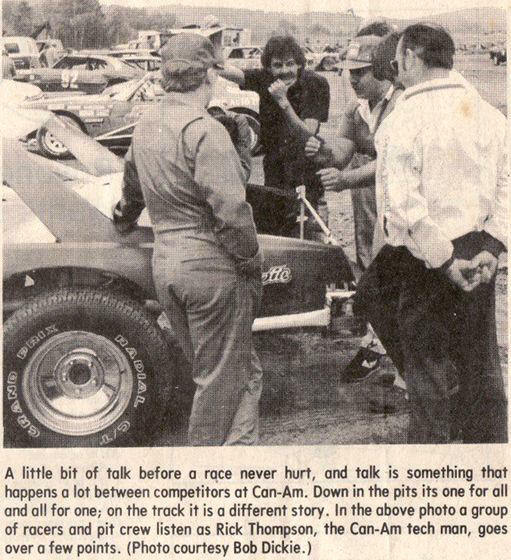 Bert is one of the few early racers whose family still has his archives. Isabel Hauver, with Bert Hauver's Flying 0. The pits at Veterans' Park, with the 399 of George Roy, Paul Barnard's 500, and possibly the Lucky Dice of Bob Wright. Well dressed people mix in with the typical racing types in the pits at Veterans' Park. Several folks are checking out Sydney Carter's K5. A view from the stands across to the pits at Veterans' Park. 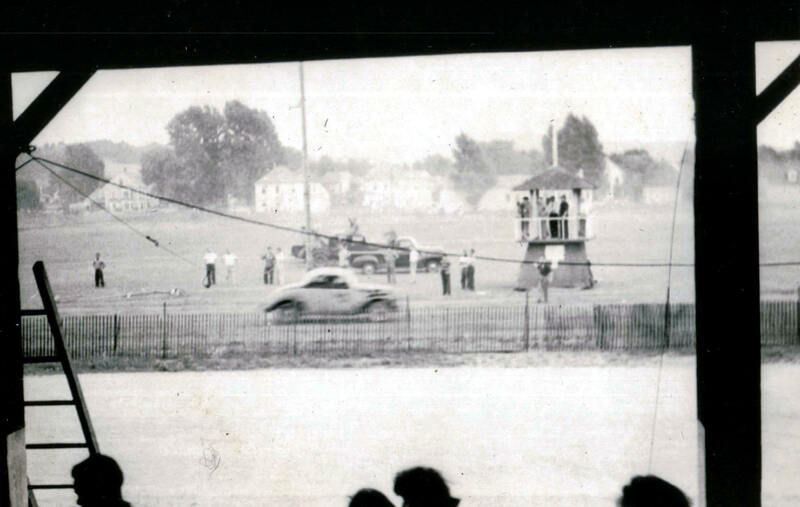 Same view from the stands across to the pits, only later in the life of the track. 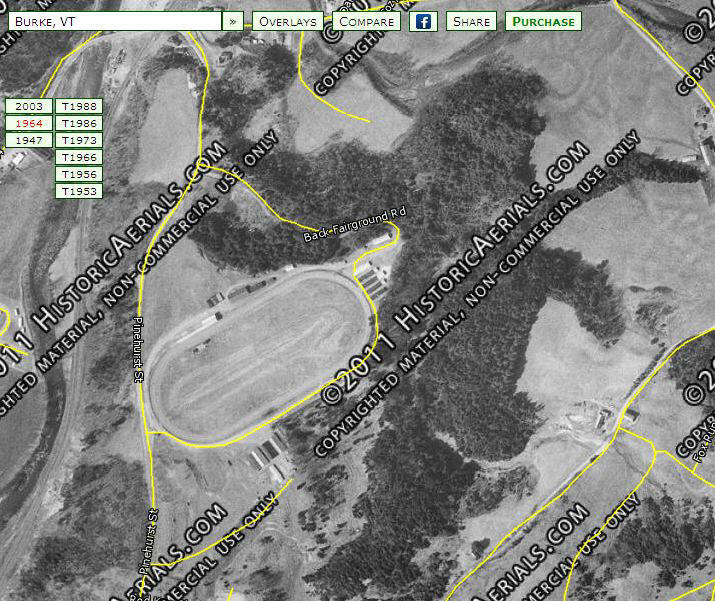 Note how the horse track has grown qweedy from disuse. 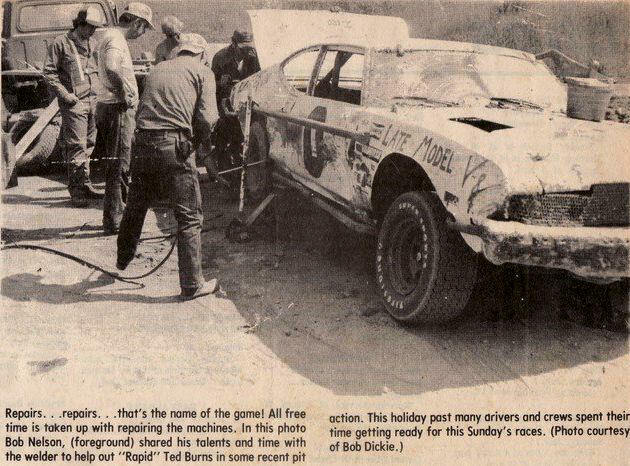 Chittenden County invaders Gordy Owen  and the car ? are seen. 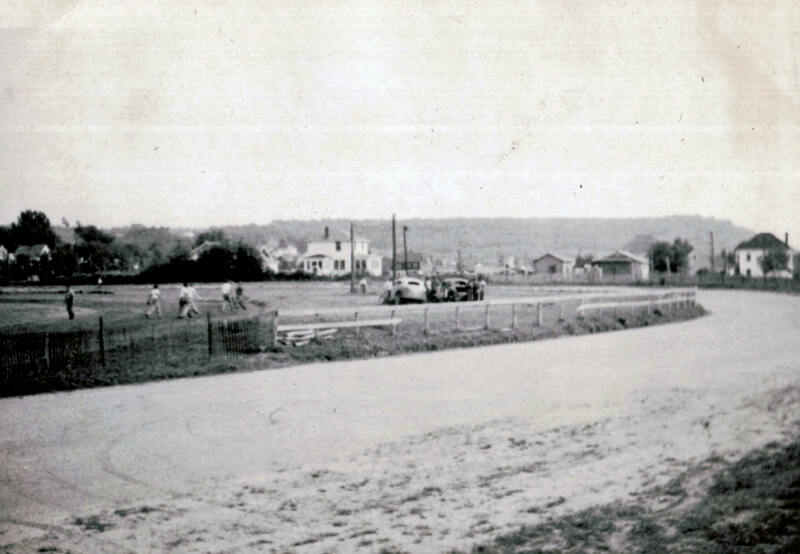 The same view from the stands across to the pits shows the track has been used more recently [no weeds]. The same view. 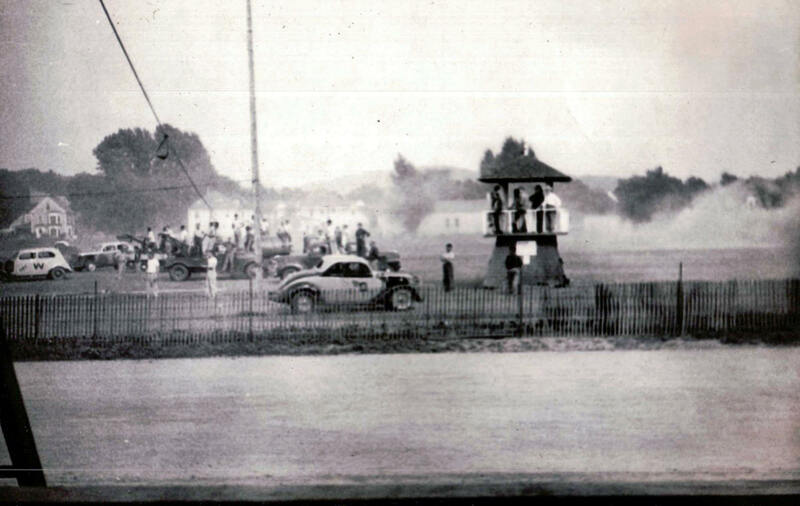 A car flies by the judges' stand]. c;lose to the judges' stand he cars passed - and these weren't very dependably handling machines. Cars W and 19 fly by in close formation. The dust is thick as the neighboring houses by the backstretch gets a good view [and dusting]. The same view - but of turn four action. This view really shows how the horse track separated the stands from the car oval. All of these photos from Hermance are blurry, when full sized. Cameras weren't as good then. I recommend reducing them in size. The often - photographed car W in the nexrt lineup. 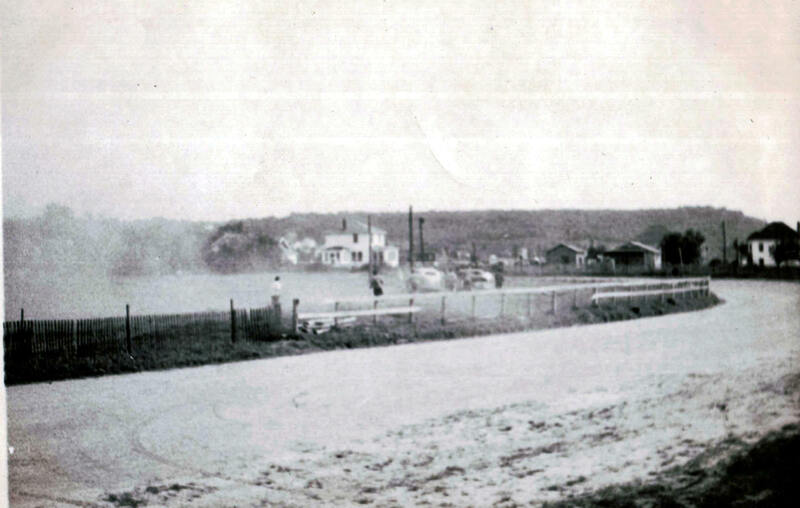 A view of turns one and two. A minor tangle in turn one. Similar shot to the first Hermance photo. Folks around Ken Hitchcock's 4. Veterans' Park within the square. It looks like an oval pond or something. The scene has to be before the building of the union high school there. 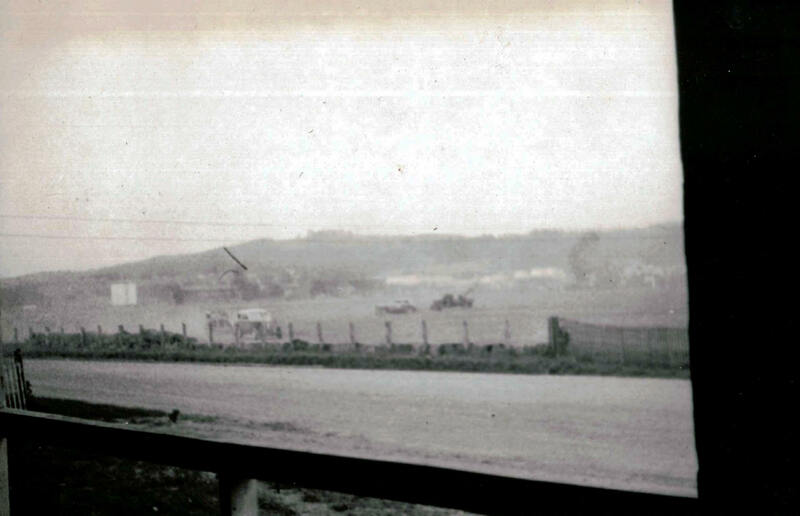 Bernard Daggett's gravel pit in Holland, VT served as one of the state's earliest stock car ovals. Sydney Carter is seen leading. A better view of the layout of Daggett's. Note the oiled track. 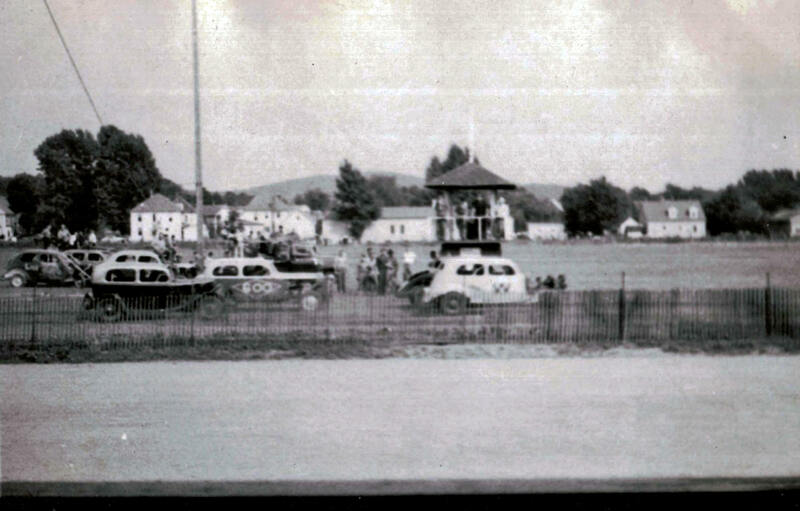 The fairgrounds track in Burke, VT served as a short - lived stock car track. Actually, these two cars look more advanced than the subsequent Newport cars did, for the most part. 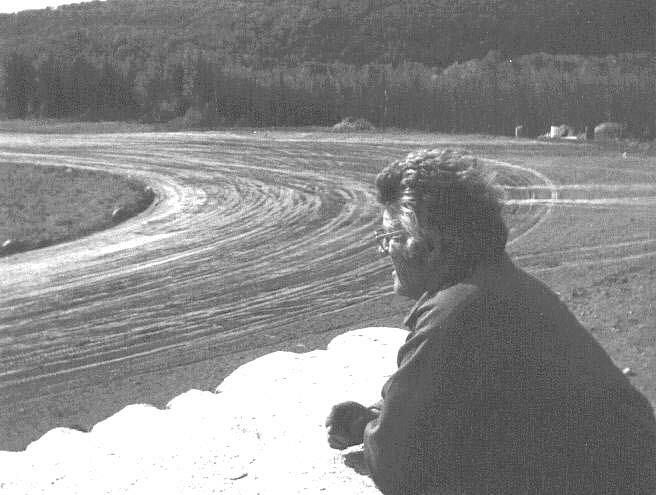 Charlie Nadeau looks out from turn one at his creation, a speedway built on top of part of his huge landfill operation in Newport. Below - Charlie had run at the old Veterans' Park track, as evidenced by his name on one of the results tickets. 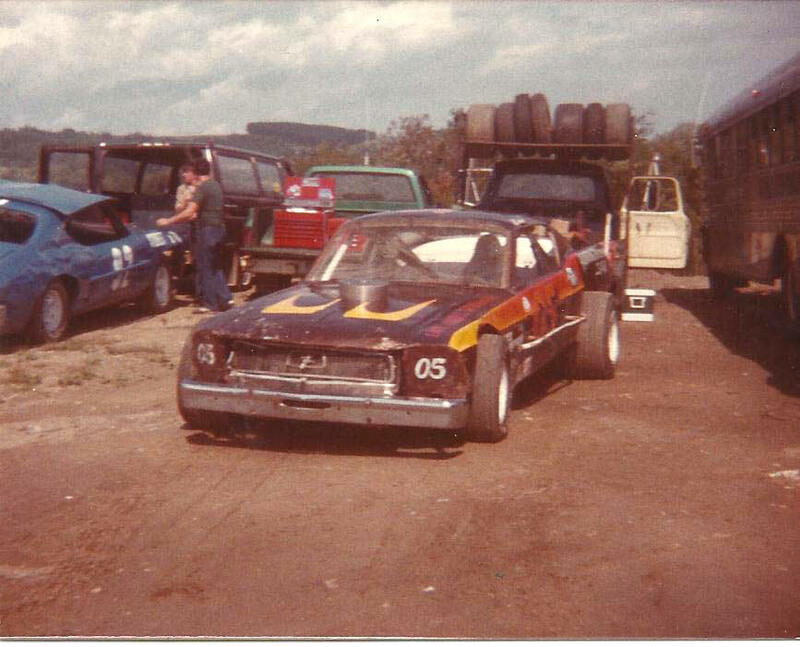 Charlie's brother, Ray, promoted races at the Webster Flats location in Lyndonville, VT, and Charlie raced there. 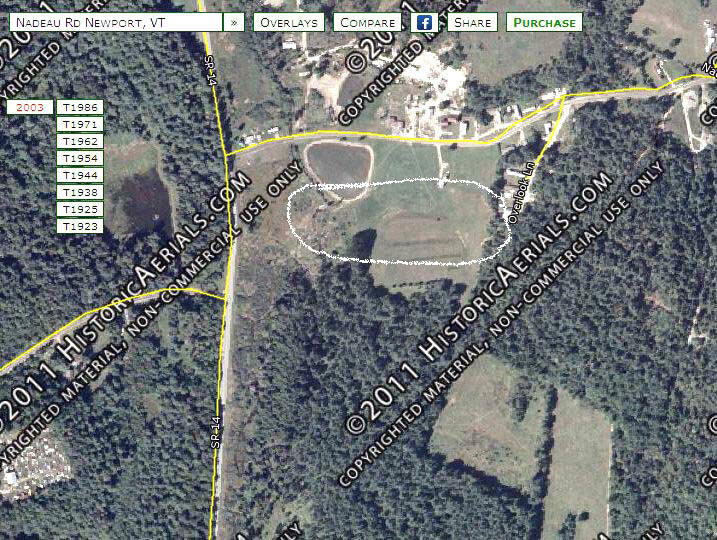 I have made a calculated guess where the track was on the Charles Nadeau landfill site. See the white oval. The Can - Am Speedway layout is well shown here, with a temporarily - watered, rough track, fans on the bank, and a simple announcer's stand. but the track was really rough. They groomed and they looked..
and it was still rough. was running Groveton, NH regularly at the time. in one of the turns. 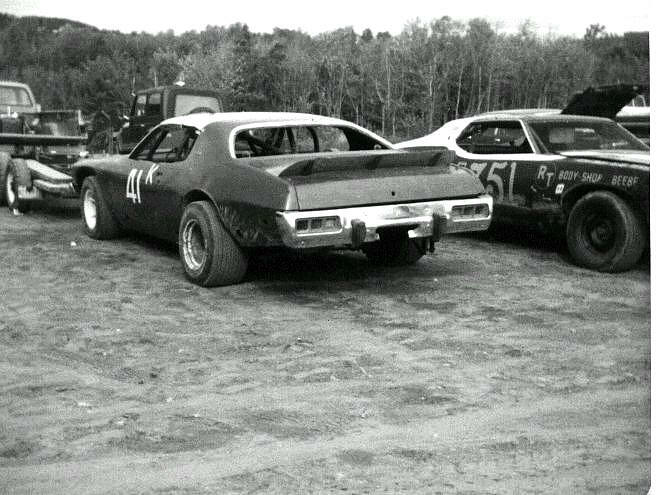 The Granby Speedway cars of Keyworth George  and Michel Garand. Female star Linda Alexander puts her brown Granada in the lineup with the boys at Newport. into the teeth of trouble. hangs it out in Turn 2.
wind it up and go. on the edge of Turn 2.
themselves... and I know why. rest of the hobby cars ? your guts in front of the stands. 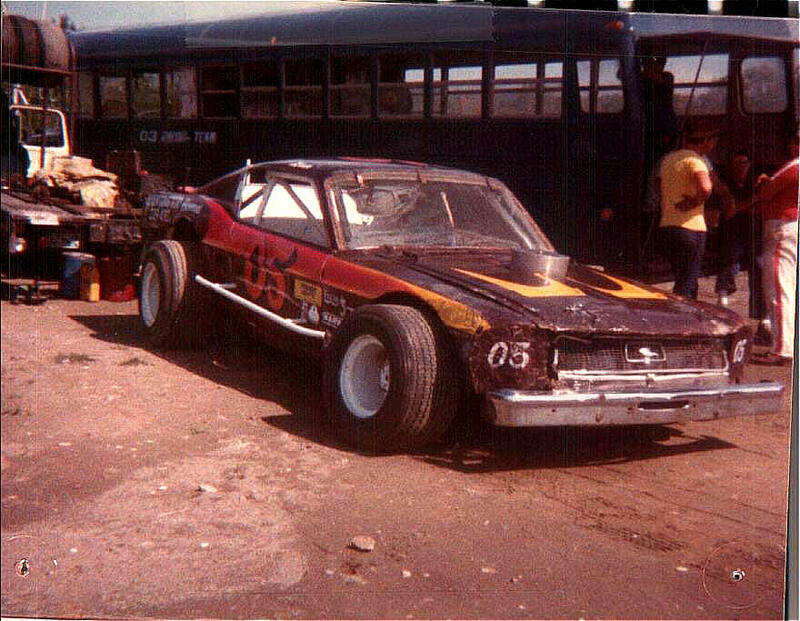 The Alexander family raced this Mustang before the Granada.